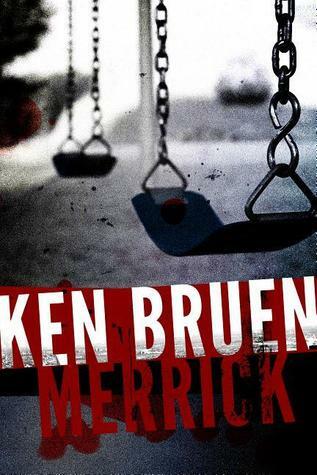 And that is where Ken Bruen’s latest mystery “Merrick” begins. To be fair, the Jewish Merrick was already in the bar. He owns it and tends bar. He’s a big guy who just looks mean. Ryan wanders in one night, fresh from Ireland, where he’d got involved in a police scandal and was kicked-out. Ryan orders his whiskey with a beer back, and picks-up the same for Merrick. Within minutes, they can smell the cop on one another. There’s something about a cop’s eyes, the way they look around, always scanning, always aware of everything. Ryan agrees to help out. Now the killer gets cocky. He starts sending personalized notes when he strikes, imitating different serial killers: Gacy, Zodiac, Son of Sam, etc. Sometimes the letters lead to a fresh body. Other times, it’s just to frustrate the team more. They build leads till they have a short-list of suspects. One by one, relying on instinct and experience, they figure out who’s guilty. It’s not who they think. Ryan gets involved with a beautiful Native American girl, and their romance catches fire. Merrick is married with two kids, and a nice home on Long Island. The two men are in many ways opposites—Ryan is brash and temperamental, Merrick not afraid to fight, but greatly preferring not to. A bond develops between them, a sort of tempestuous brotherhood. Like many brothers, they clash frequently, but the love is still there. In the end this nascent teamwork is the highlight of the novel, except for the explosive ending, of course. Ken Bruen writes with a terse, gritty style, much like James Ellroy. The sentences are not long, flowery, pretty things. They’re bullets or slaps to the face. There’s a lot of staccato bursts of prose that add to the novel’s dark tone. Bruen leaves the door open for a sequel, perhaps a series. This would be a very good thing. Better yet, we can step through a portal here in 2013, and see how the old masters—the Marlowes and Spades—would have done it. This is an excellent little mystery with a cool pair of mismatched private eyes. Add a couple of fedoras, and they’d be perfect. This entry was posted in Books, Mysteries/Thrillers, series. Bookmark the permalink. Whatever happened with this book? It doesn’t ever seem to have been officially released. The simple answer is, um, nobody seems to know. It was finally released–it did get an ISBN #–and it was briefly available, but I have no idea where you can find it now. I did a Google search, and it’s not just the US, but most of the world. They have it listed on their sites, but always as sold out. The only site that seemed to have a copy available is in Australia. It wasn’t cheap–maybe $20 US. Here’s the URL: http://www.readings.com.au/products/17216191/merrick I wish I could find something easier, but that’s all I could find. Maybe if you have a large library nearby, they’d have it. Good luck!